One year ago, almost to the day, Jeff Bezos gave me the reason why people should carry around a Kindle in the age of the iPad. No angry birds. Today at a New York City press event Amazon is releasing a $199 color 7-inch tablet device called Fire. It plays Angry Birds. But Fire is the hottest of the bunch, because it marks Amazon’s media assault on the sizzling category of tablet computing. Ever since Steve Jobs introduced the iPad, a slew of competitors ranging from HP to Samsung have tried to come up with their own tablets. It’s been like the Charge of the Light Brigade as one after another get sent out to the slaughter. None of them are as good as the iPad and they generally cost as much or more. With a ground-breakingly cheap, small, even simpler tablet–and a powerful inventory of books, movies, television shows and digital tunes to fire up—Amazon is a more formidable foe. It’s goal is not selling hardware, but selling the media that runs on the device. Amazon, he says, now has a $15 billion media business. (Most recently it inked a deal with Fox for movies and television shows.) “It’s not just books,” he says. “It’s music, games, software, it’s a bunch of different things.” Now it has a platform to play those songs, games, and apps. As with the Kindle, the Fire is not a shiny trigger for technolust. And it lacks some of the features of the iPad and other tablets. No camera. No GPS. Not even 3G. And only 8 gigabytes of storage. But it is designed to do its job very well. Bezos insists that people not see Fire as a standalone device, but part of an integrated media service. “That’s why the Kindle has been successful,” he says. 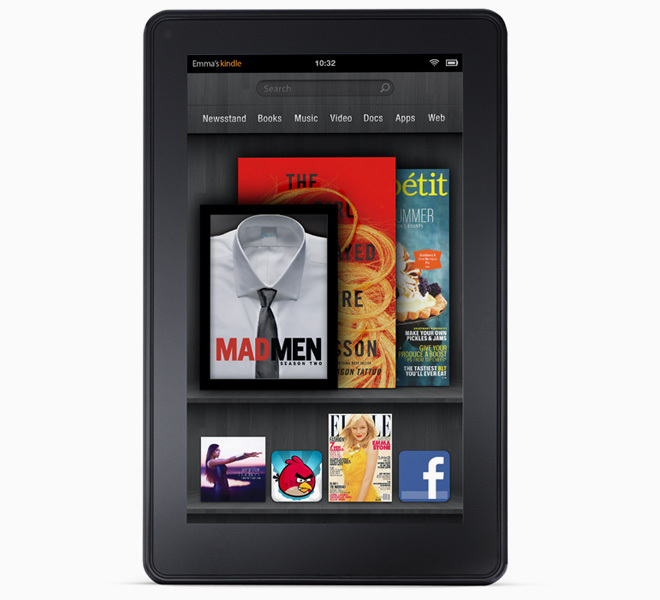 Like the original Kindle, the Fire arrives knowing who you are by your Amazon account—you’re ready to buy stuff. Weighing 14.6 ounces, it’s the size of a DVD case, and its seven-inch LCD screen shows movies sharply. It’s powered by a dual-core TI OMAP 4 chip. If you are one of millions who belong to Amazon Prime, you can stream from the reasonable if not totally satisfying (11,000 videos) collection of movies and TV shows for free. (Fire purchasers who are not Prime members get a three-month free tryout.) New software organizes music, which you can buy or upload to Amazon via its cloud music service. Bezos takes special pride in the Fire’s speedy web browser, dubbed “Silk” because that substance is almost invisible yet really strong. The Fire uses a home-grown technology called “split browsing.” Because of Amazon’s advanced data centers, the company can handle some of the heavy digital lifting on time-consuming processes like loading web pages—before it sends the data off to the device itself It gets a further boost because many popular sites use Amazon’s cloud services, allowing for greater efficiency. This enables Silk to run much faster than other tablet browsers. Oh, and it also runs Flash. Take that, iPad. Of course, because Fire runs on a modified version of the Android mobile operating system, Amazon has access to thousands of apps. Even though Amazon has made Fire simpler to use, it has taken care to make sure that you’ll have your Angry Bird. Clearly Amazon is betting that there’s a big market for people who want tablets mostly for media and browsing—and don’t want to pay $500. But even if the Fire doesn’t give iPad a hotfoot, it will probably have a big impact on Amazon’s other competitors. Barnes and Noble, which had been feeling good about how recent versions of the Nook were arguably slicker than the now-outdated Kindles, is now outflanked by a more versatile color device and a very affordable e-reader. Possibly the biggest loser today is not Apple, but Netflix. Just as its customers are outraged at higher pricing of Netflix streaming (and furious that the DVD business has been offloaded to a new subsidiary), here’s Amazon offering a nifty device with an even better price: $79 a year. And there are millions people who pay for Amazon prime who don’t even know they’re getting free video streaming. If Amazon builds up the inventory—and it certainly has the bucks and the clout to do this—it will be the logical place for disaffected Netlflixsters to land after a storming out of Reed Hastings house in a huff. Still the introduction of Fire –which will ship November 15–introduces a contradiction. 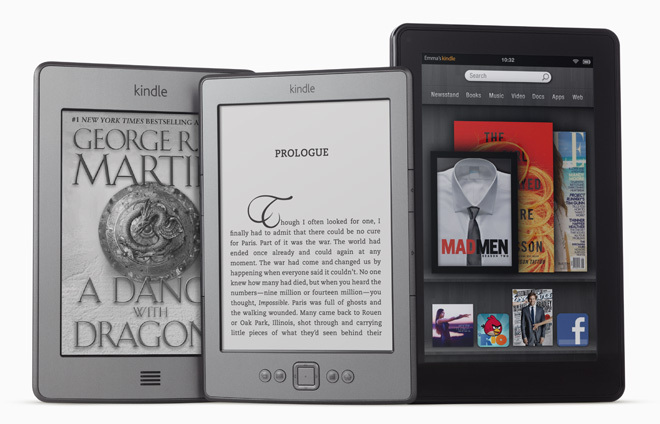 For years, Bezos has been touting the virtues of e-ink for reading. Now he is introducing the first in what will probably be many back-lit, heavier Amazon devices . Which gadget will people choose? Bezos has an answer. “They’re going to buy both,” he says. But if that happens, who will stop playing Angry Birds long enough to read a book on the Kindle?